How Far is Satwi's Vielle? 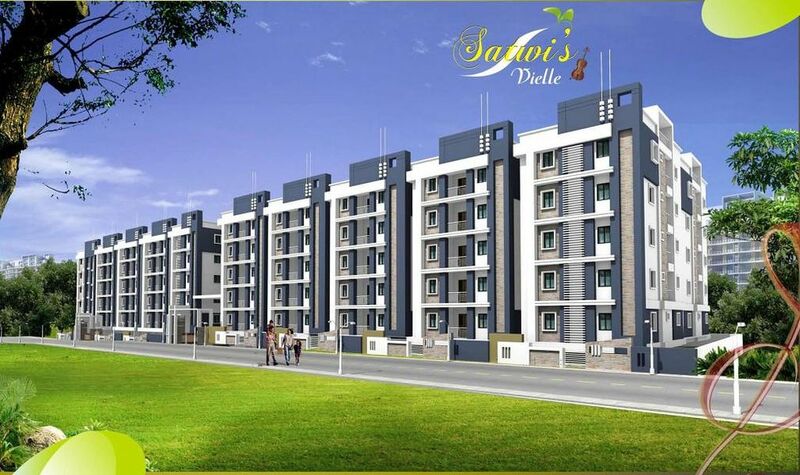 Satwi's Vielle Home translates your dream of fine living into a blissful reality. Enjoy the space, convenience and location; signature style that transforms each room into an enhanced living experience. 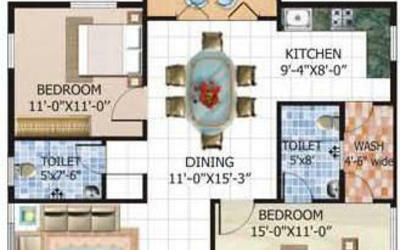 The project is located in the low density area yet within easy reach to the academic, health care Institutions, shopping malls, commercial establishments, banks, just drive 25 min Bangalore International Airport & Majestic, a very near to K.R Puram Railway Station - 3.5 km , ITC Infotech - 6 km , Life Style 5 km and entertainment avenues offering the residents a picturesque and tranquil surrounding along with the best possible modern amenities and facilities. Designed with creative eloquence by a reputed architect. Satwi's Vielle is attractively laid out with everything you visualize in lavish comfort. an expression of artistical sense of touch. Solid cement concrete blocks for external walls of 6" thick & internal walls of 4" thick. Teak wood frames and solid core flush door shutter with aesthetically designed veneer with melamine polish and brass hardware of reputed make. Windows:UPVC windows with sliding shutters fitted with glass and safety grills for living, bed room & dining. Vitrified tiles of size 24"X24" with 4" height skirting for living hall, bed rooms and dining. 12" X 12" antiskid ceramic tiles flooring for toilets and utility areas. Glazed ceramic tiles daddoing up to lintel height in bath rooms and 5 feet height daddo in utility / wash rooms. Four feet height daddo in kitchen above the granite plat form. 30 to 40 mm thick black granite platform with stainless steel kitchen sink. EWC with flush tank of Hindware or equalant make in attached bath rooms. IWC with flush tank of Hindware or equivalent make in common bath rooms. 16" X 20" size wash basin in dining and 12" X 16" wash basin in bath rooms of Hindware or equivalent make. The soil connection pipes of ISI make supreme pipes and fittings or equivalent. Water supply through ISI mark CPVC pipes and fittings of reputed make. 24 hour water supply from bore wells, over head tanks and water sumps. Concealed copper wiring through PVC conduit pipes for internal works of standard make. 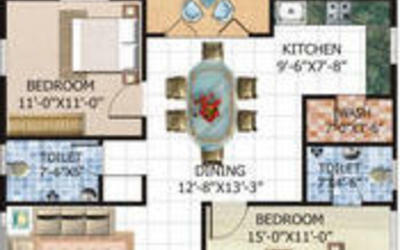 Adequate electrical points required for living, dining, bedroom, kitchen, bath rooms are provided. Modular switches and fittings are provided. Single phase 3kw power supply for each flat. Two lifts of 6 (six) passenger capacity of Schindler or equivalent make for apartment block. Satwi Infra started its business from 2005. Their homes translate your dream of fine living into a heavenly reality. Their projects are critically acclaimed and known for their ingenious design and prime space utilization. 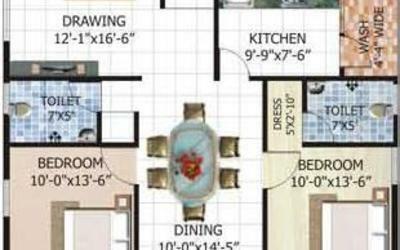 With a primary focus on creating homes that cater to the needs and wishes of the customers, this Group has found favor among the customers for creating living spaces that bring a new lifestyle that is dreamt of at an affordable rate. They abide by the core values of commitment, integrity and flair for innovation that makes Satwi Infra a name to reckon with.